Not exactly the best looking treat I’ve ever made (also not the worst, trust me) but really tasty nonetheless. Inside, a mix of bits of apple, brown sugar, cinnamon and lemon juice. Not sure about the quantities, just basically made a big mixture of those four ingredients in a bowl. Drizzled with a mix of icing sugar and milk on top, in a failed attempt to make them look slightly less boring. These had the added bonus of making the kitchen smell like Christmas. 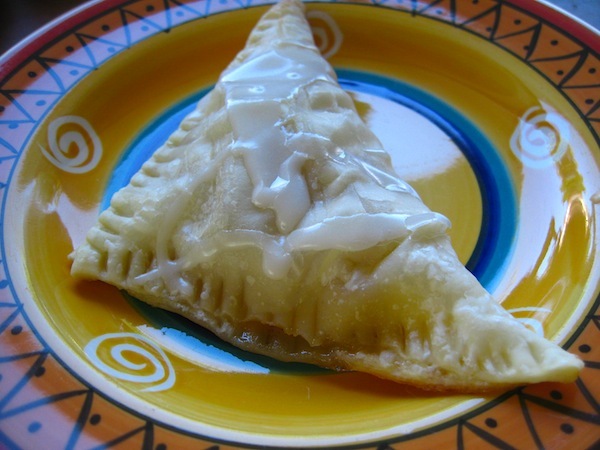 Categories: baking, food | Tags: apple and cinnamon turnovers, baking, cooking, food | Permalink.